In July 1820, George Morehouse married Mamre Ingraham. The Village will recreate this memorable event in their lives. 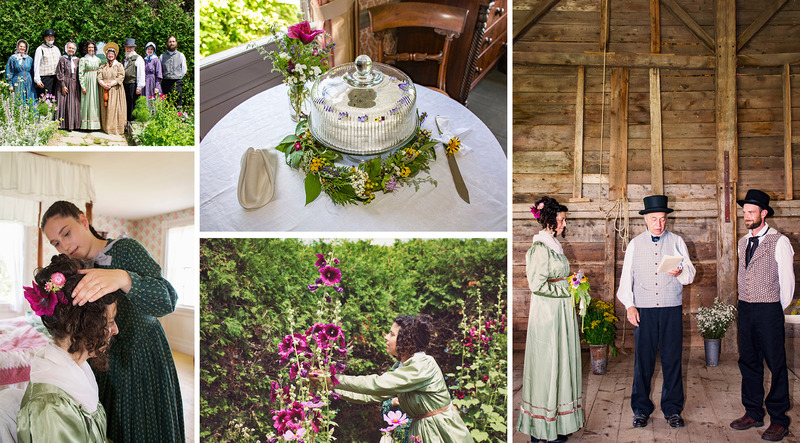 Come and celebrate with George and Mamre as they tie the knot at their traditional 19th-century Loyalist wedding. Everyone is invited to witness the ceremony in the Ingraham Barn and the reception following in the beautiful Ingraham Garden. Rain location for the reception is in the Ingraham House. Getting Here is Easy, Leaving is the Hard Part!